Singapore is definitely a paradise for food lovers. With such a wide variety of sumptuous and tasty food, one cannot resist gorging on the food of Singapore. Exploring the beautiful places of Singapore and at the same time, pampering one’s taste buds with the heavenly food of Singapore is just the type of holiday anyone would like to have…isn’t it? Travel when merged rightly with some amazingly incredible cuisine makes the most beautiful memories that can be cherished for a life time. I have been hearing a lot about the lip smacking Singaporean food from a friend who lives in Singapore. However, I did not have many expectations from Singaporean food. I thought Singapore is better known for its wonderful and spectacular places. The notion of mine changed as and when I landed in Singapore. 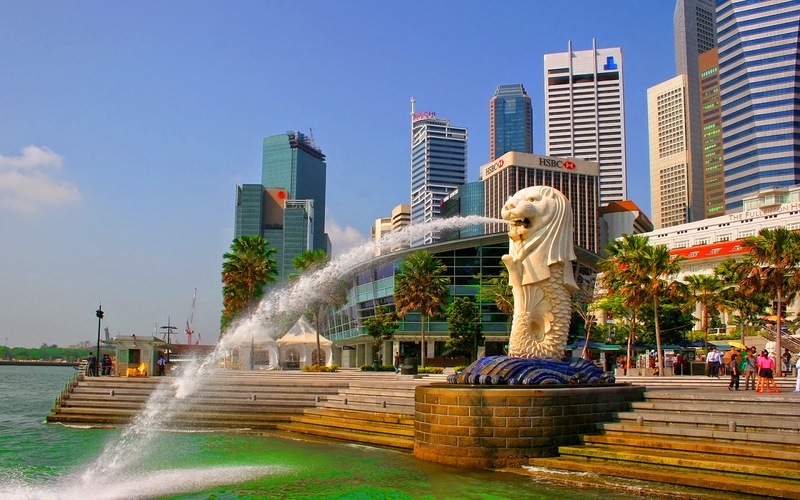 The best thing about Singaporean food is that it is a blend of so many cuisines such as Chinese cuisine, Malay cuisine, Indian cuisine and cross-cultural cuisine. I tasted a lot of food in Singapore during my stay. Each and every food had something new and delicious to offer to my taste buds just like the beautiful places of Singapore which totally enchanted me. I was totally enthralled when I visited the Merlion Park in Singapore. The Merlion statue, which sprouts water from its mouth, looked beautiful. This statue is the tourism icon of Singapore. The statue which is that of a mythical creature is totally fascinating because it has a body of fish and a head of lion. 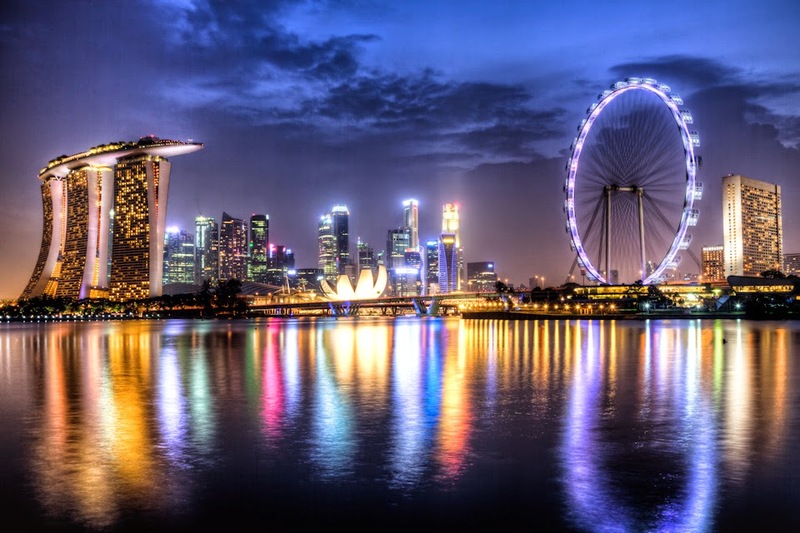 The scenic and beautiful Marina Bay can be seen from the viewing deck of the Merlion Park. I really had a great time visiting the Park in the morning. I heard that it looks more beautiful in the evening. Hopefully, I will catch a view of it in the evening the next time I visit Singapore. Okay, now the best thing of that morning was having moon cakes for breakfast after strolling around the Merlion Park. The name of the food really made me curious to see how it tastes. And well…it tasted yummy! The moon cakes I had were round in shape. They were made of a thin covering which had a dense, sweet filling inside. The filling also contained salt egg yolks. Image of beautiful flowers were imprinted on the tasty moon cakes that I had. 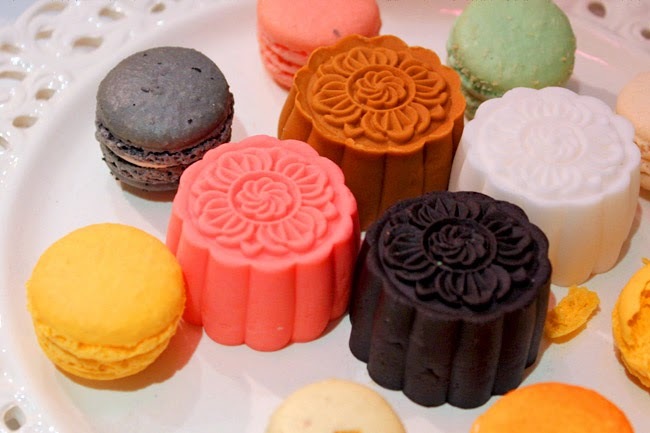 I really loved having the moon cakes for its unique taste and pretty looks. They were available in so many colors. After munching a couple of moon cakes, I had a glass of Singapore sling. It is known as lady’s cocktail due to the lovely pinkish tone. It consists of cherry liquer, gin, pineapple juice, pomegranate juice and Benedictine. Club soda is used to create the wonderful foamy top. 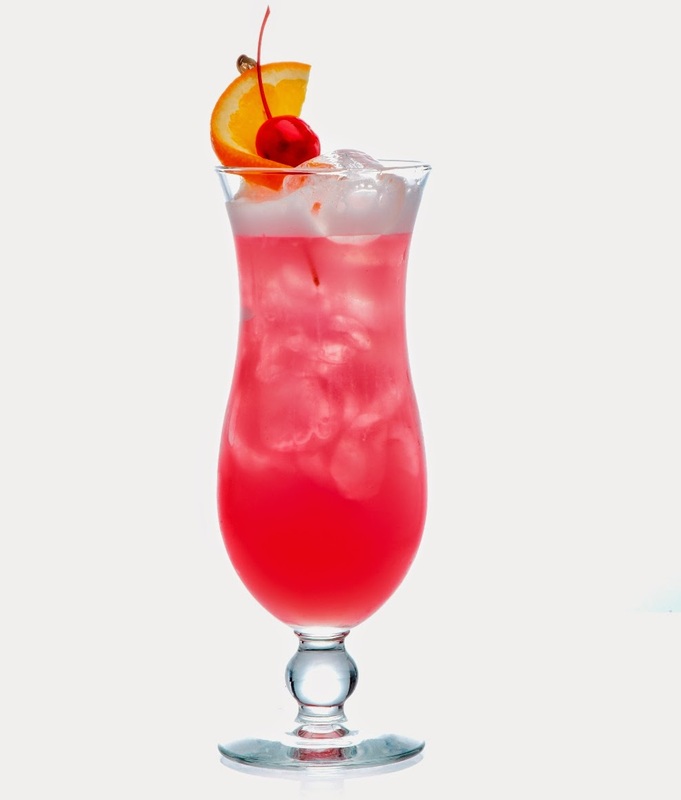 The Singapore sling is so popular that it is available in bottles in several shops and supermarkets. I loved the flavor of the Singapore Sling so much that I also bought two bottles. 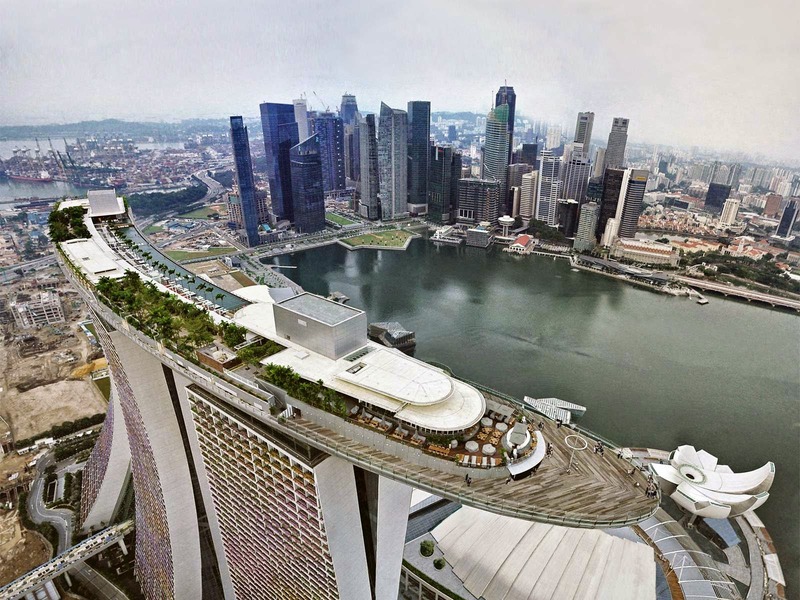 The Marina Bay Sands Sky Park is a beautiful sight in Singapore. From the Marina Bay Sands Sky Park observation deck, the beautiful and incredible 360 degree view of Singapore skyline can be seen. We also saw the light and water spectacle known as “Wonder Full” show that took place in front of the Event Plaza. It was a beautiful evening. We had chilly crab in one of the restaurants of Marina Bay Sands which further made the evening beautiful. 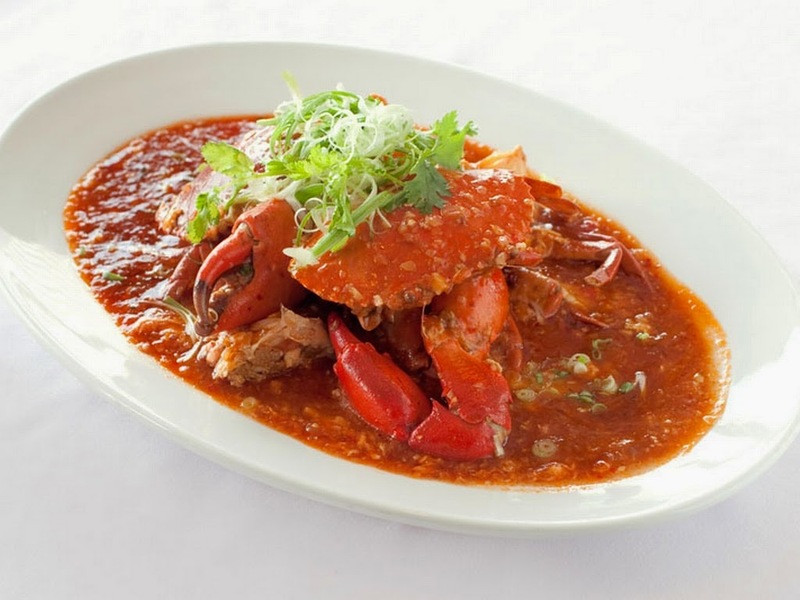 Chilly Crab is one of the most popular and loved Singaporean foods. The thing that makes Chilly crab so delicious is its sweet, sensuous and savory sauce which is created with a mixture of tomato and chili sauce that has the power to satisfy your taste buds. Rice vinegar and garlic is added to the tangy sauce to make it tastier. Egg ribbons and thickened flour are added to the chilly crab dish to give it a fluffy texture. If you like sea food, then you should not miss this dish on your Singapore trip. It is incredibly delicious. Apart from the chilly crab and moon cakes, we also had fried carrot cake, spicy fish head curry, Dumpling noodles and fried sesame balls which we enjoyed a lot. 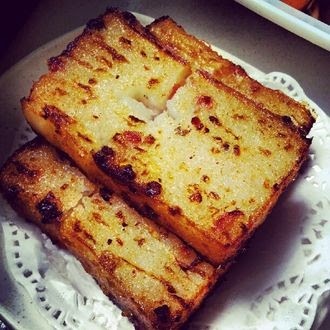 Fried carrot cake is made with white radish and steamed rice flour and fried with eggs. They taste delicious when they are garnished with spring onions and served. Dumpling noodles are served both in soup and in dry form. It is a popular Cantonese dish of noodles. 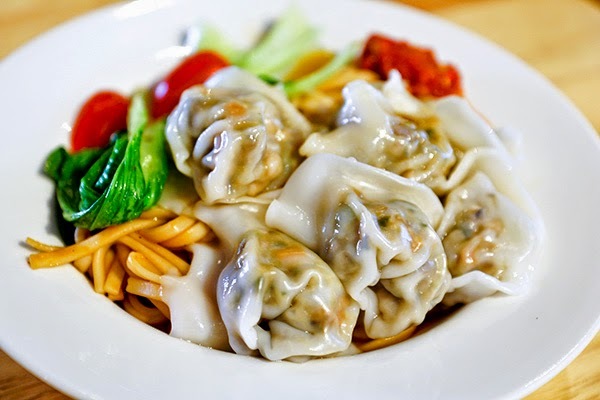 The noodles are generally served with dumplings that are filled with vegetables or prawns. It is extremely tasty and a very popular dish of Singapore. Fish head curry is a very popular Singapore dish. Red snapper fish is cooked in a spicy hot curry. Vegetables are added for enhancing the taste. 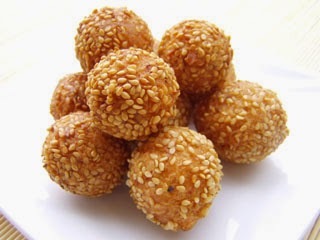 Fried Sesame Balls are commonly known as Jian Dui. This fried Chinese pastry can be found in any Chinese bakeries of Singapore. The balls are coated in Sesame seeds. They are made from rice flour and contain different types of fillings such as sweetened coconut. Singapore is really a food paradise. The best thing about Singaporean food is its large variety of flavors. You would definitely want to try all the wonderful mouth watering food and you won’t be disappointed anytime. The beautiful places and the delicious food of Singapore are really making me crave to go to Singapore soon. Yes! I can hear it. Singapore Calling! Yummy cakes n dumpling noodles. Singapore, Here I come!! All the best for the contest.